Fermented foods. I remember when I first heard about them two years ago. My thoughts were something like "Oh. Fermented? That sounds super gross." But now here they are on our list of just seven healthy goals for this year. Because the more I read, the more I found that fermentation is just the growth of beneficial bacteria and probiotics that is actually really good for your gut health, and that gut health is one of the foundations of good overall health! Hmmm. So we decided a year ago to give this fermentation thing a try, starting with the easiest/least scary thing I could find. 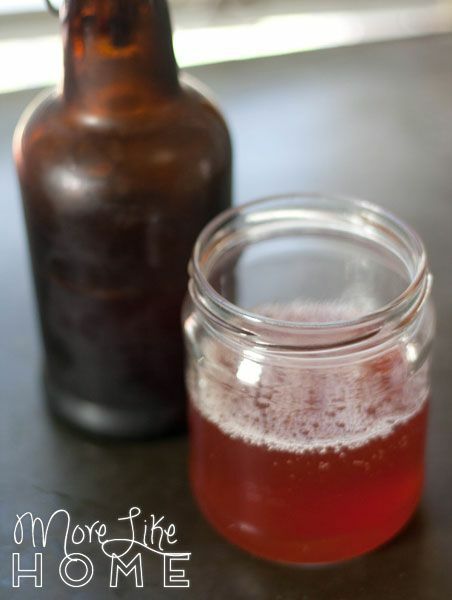 Water Kefir. Turns out it's not hard. Or scary. And we've kept these little kefir guys (called kefir grains, technically) going for over a year now with just a little sugar and water. 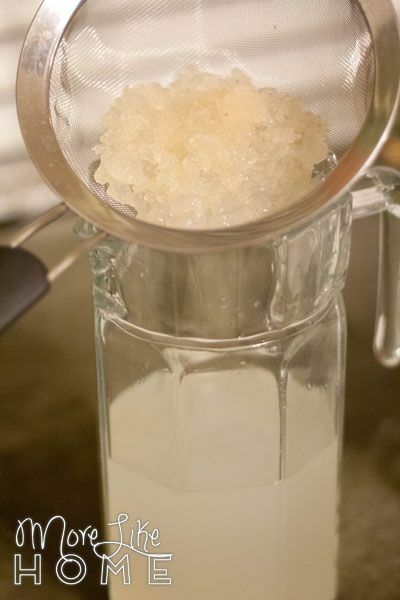 Water kefir grains are little whitish clear lumps that are made up largely of yeast and bacteria, and when placed in sugar water they ferment it into a probiotic beverage. Easy to use, and affordable since all you need to sustain them is water, a little sugar, and minerals. Plus the grains will grow and reproduce over time so if you can share with friends! 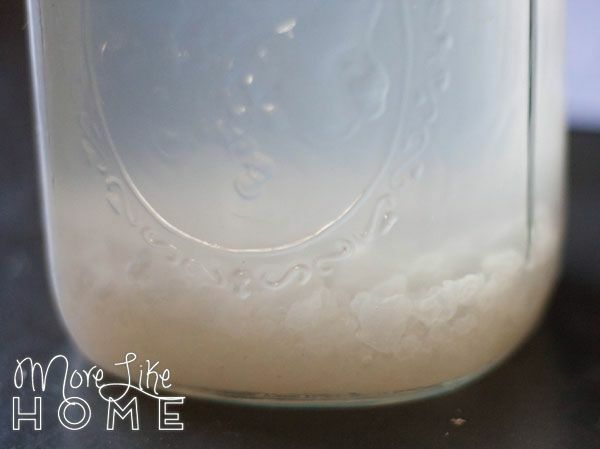 Water kefir grains (milk kefir grains are not the same). If you have a friend whose grains have grown you may be able to get some for free, or you can order them from cultures for health. If you order them they will include instructions for getting them started the first time. If they came from a friend you can hop right in! 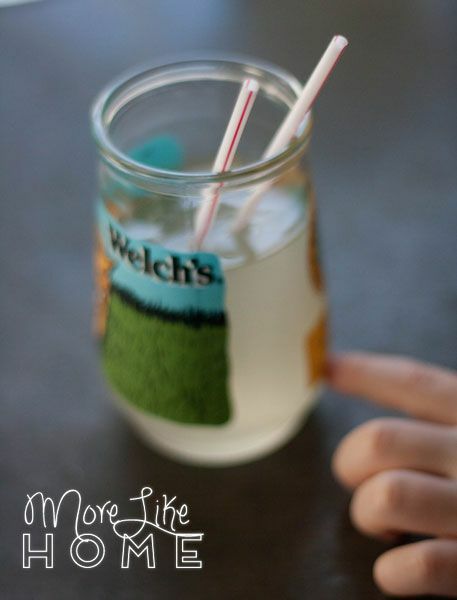 In a mason jar (or whatever jar you like, really) start by dissolving about 1/4 cup of sugar in 1 cup of warm water. 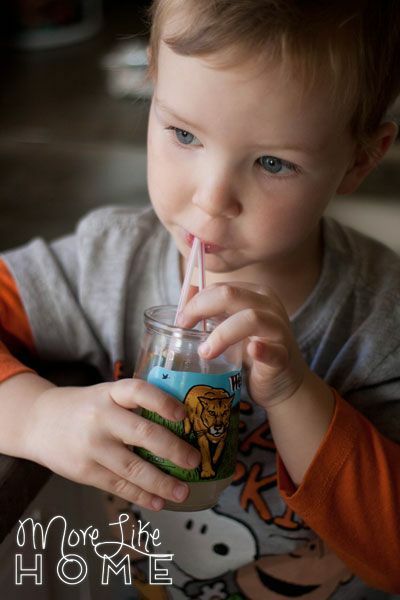 We use organic sugar and water filtered through our Berkey. I've read that organic or less-processed sugar (like turbinado or "raw" sugar) is better because it has more minerals, but I know people who successfully ferment with regular white sugar. I've also read that you shouldn't use tap water because the chlorine content can kill the grains, but I know people who have successfully used that as well. Once the sugar is dissolved, fill the jar most of the way with cool water leaving enough room to add the grains. The grains will grow and thrive better if you add minerals to the water (again I know people who have done it without, take it all with a grain of salt and find what works for you and your grains. But don't put salt in your grains. That's probably bad). 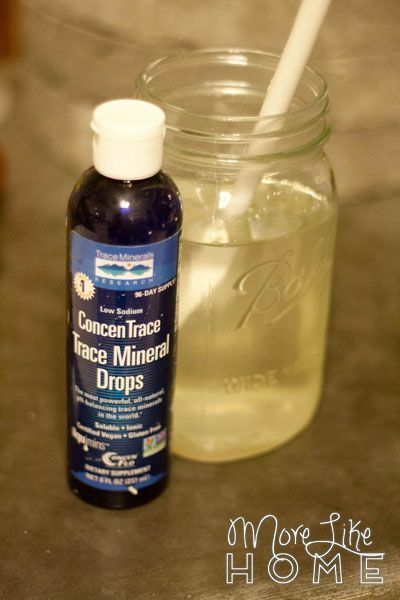 We use a few Concentrace Trace Mineral Drops (you can get them on amazon or from cultures for health) but you can also use a dab of molasses or a rinsed eggshell in the water. Then you can add your grains to the jar and cover it. We cover it will a coffee filter and use the ring of the jar lid to keep it on (you could also use a cloth with a rubberband). And now... we wait. Just set your jar on the counter and let it do its thing (if you want it to ferment slower, like if you're going out of town for a week, you can put the jar in the fridge and it will go longer without needing to be fed). I've found my kefir ferments faster in warm weather than during the winter, but either way I usually start seeing bubbles within 24 hours. 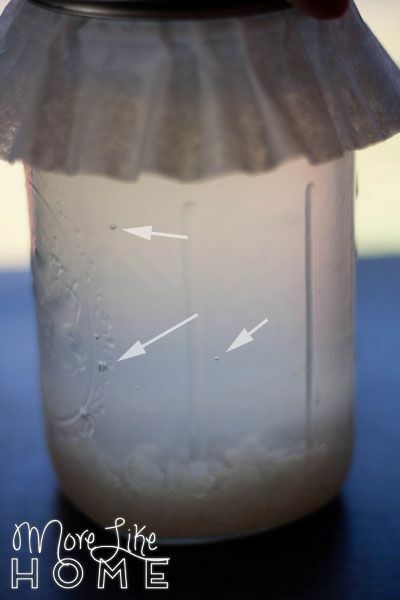 Just give the jar a wiggle and you should see little bubble float up to the surface (see the terrible pic below). Once it starts to bubble, just let it keep going until it's as fermenty as you like it. I usually wait 3-5 days depending on how lazy I am. The longer it sits, the more fermented it tastes so you may want to drink it sooner until you get used to it. If it stops bubbling, you've waited too long! Your grains are hungry, feed them ASAP! When you're ready to drink it, just pour the kefir through a fine sieve to strain out the grains. The sieve in this picture is actually a little too open and some tiny baby grains make it through, so look for something like the one on the cultures for health website. I strain my kefir into a 1/2 gallon glass pitcher so it's ready to drink. Just let them sit there and drip while you refil your mason jar with water, sugar, and minerals. I store my finished kefir in the fridge. 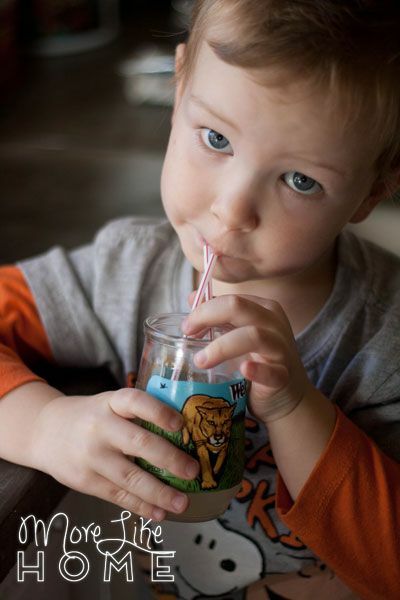 You can drink it just like this or flavor it with juice - keep reading for our two favorite recipes! This one is super easy and my boys LOVE it. 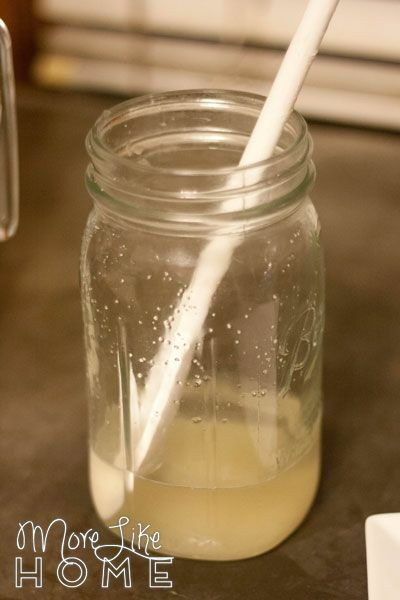 Right after I strain the kefir, I add about 3 Tbs lemon juice and a little sugar (1-2 Tbs) to the pitcher. You could also use orange juice or just about any other juice to add flavor without adding extra sugar. Big Brother asks for lemonade daily. And always with two straws. This one gets adds an extra step (a second round of fermenting), but if you do it you'll be rewarded with fizzy goodness! And you can do this with just about any kind of juice as well. 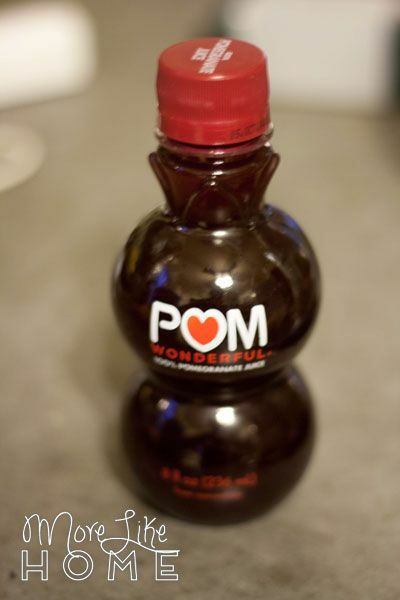 To make pomegranate soda you'll need pomegranate juice and bottle or jar you can tightly cap (we bought these flip-top bottles). Mix together 1.5 cups water kefir and 1/2 cup pomegranate juice (we add a teaspoon or two of sugar to help with the second stage of fermenting). 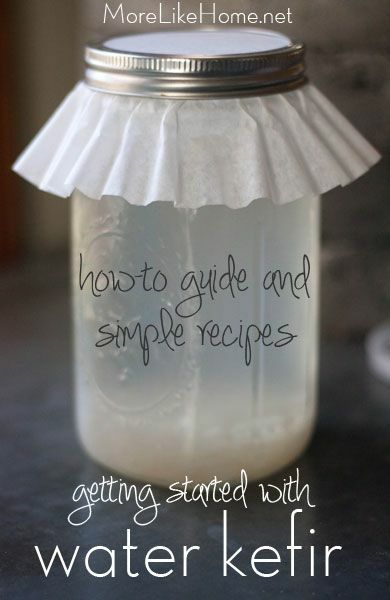 Use a funnel to pour it into your bottle. 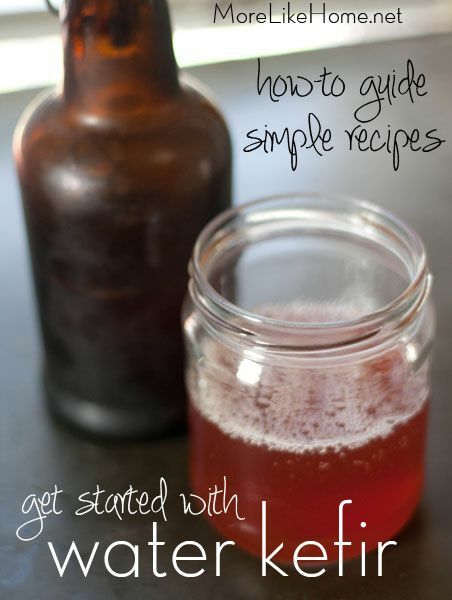 Let the bottle sit on your counter for a few days to ferment and build up fizz. The longer it sits, the fizzier it gets. After 2 days we have slightly fizzy soda, but after four or five it is very fizzy. It's a good idea to open the top a little to "burp" the bottle and then seal it back up once a day. If you let it build too much pressure the bottle could explode. When it reaches your desired fizziness, chill it in the fridge and enjoy. This is husbands favorite way to drink kefir. Actually the only way he will drink it. And I can't really blame him, it's pretty good! That's it! 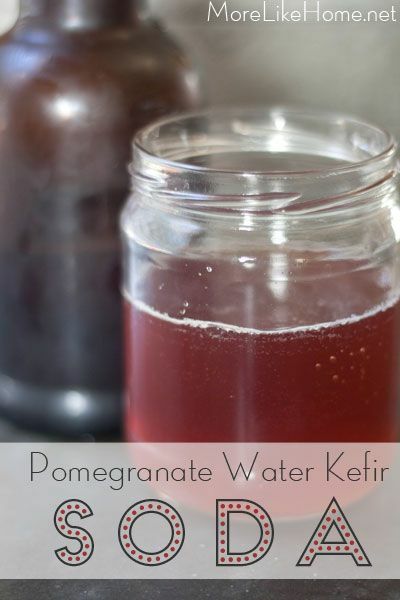 I love water kefir because it only takes 5 minutes a few times a week and costs next to nothing. If you want to try adding beneficial probiotic foods to your diet, this is a great place to start! It's so easy, I'm trying to decide on another ferment to ad this year (I'm leaning towards milk kefir or a yogurt that cultures at room temperature). 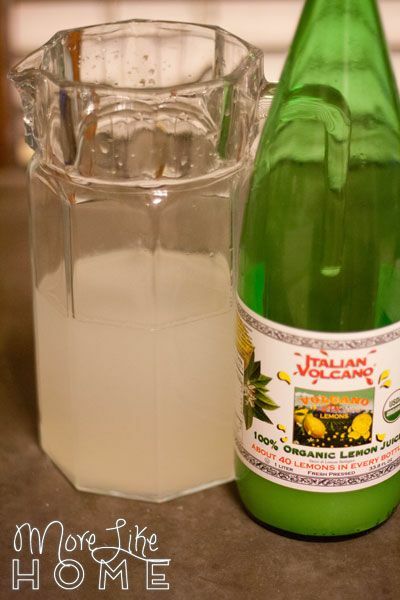 Have you tried water kefir or any other ferments? 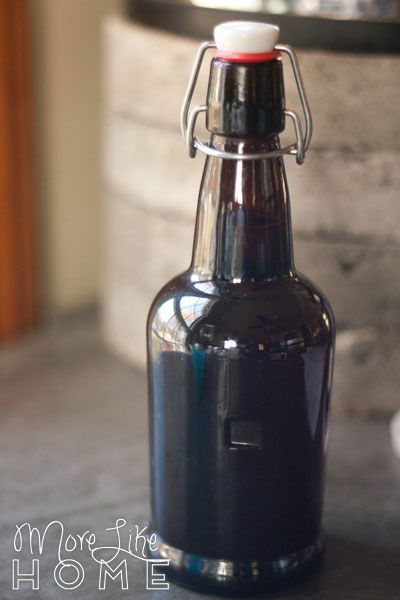 I'd love to hear suggestions for what to tackle next, or your favorite ways to use water kefir!